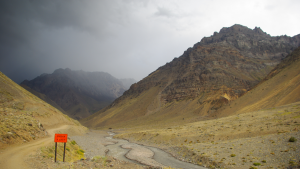 Active research on the evolution of mountain landforms has focused on the issue of climatic vs. tectonic forcing and the understanding of the dominant processes responsible for the evolution of the topography and its relief. However, most have focused on fluvial and hillslope erosion and have neglected the effects of glacial erosion. 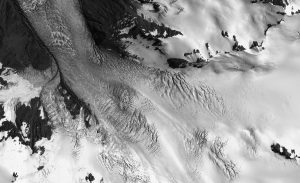 While empirical laws are commonly used for fluvial erosion, the role of ice caps and glaciers in shaping the topography is still a matter of animated discussions. It still remains uncertain how climate, tectonics, ice dynamics and glacial hydrology control the spatial and temporal patterns of glacial erosion. The goal of this project is to address these issues by focusing on the topographic evolution of the central Alps, a region that was affected by Alpine glaciations during the Quaternary, and developing innovative modeling and dating techniques to extract information about its topographic evolution during the last glacial cycle. The objectives of this project were also to establish a research group at the University of Lausanne and to further develop new glacial erosion models that include higher-order ice mechanics as well as the establishment of an OSL-laboratory to refine OSL-thermochronometry into a robust tool to quantify erosion rates at Quaternary glacial cycle timescales. This sinergia project “SWISS-AlpArray” concerns the Swiss contribution to the international AlpArray research initiative. It combines a significant contribution to the collaborative seismic field experiment of 600+ broad band stations operating for 2.5 years with a series of targeted research projects within the frame of AlpArray science program and is grouped into four subprojects. This project is in collaboration with Edi Kissling, Taras Gerya and Sean Willett at ETH Zürich. Our objective in Lausanne is to provide an erosion model for the whole Alps during the Pleistocene and Holocene epochs based on ice flow modeling and luminescence bedrock exposure dating. The inferred erosion model will then be interpreted using an ice sheet erosion model coupled with a large geodynamic model to explore the coupling between deep-Earth geodynamic processes and glacial erosion, and therefore investigate the respective role of tectonics and climate on setting erosion rates across the Alps during the last 2 Myr. In this project, the temporal-spatial exhumation history of the Andean mountain belt is constrained to study possible feedback mechanisms between tectonics, climate, and erosion. To reach this objective, we use published low-temperature thermochronometric data and new data from the northern and central Chilean Andes which cover a key transition zone of both climatic and tectonic changes. After inversion, we constrain the Oligocene-to-Pleistocene exhumation history on the scale of the Andean mountain belt. The model outputs are then compared to past and modern climatic and tectonic conditions. The project is funded through the Canton of Vaud, Switzerland, and First Quantum Minerals.